This year marks the centenary of the end of the First World War. Numerous commemorative events are taking place across France, and we have compiled a Remembrance Tourism Guide for travellers making trips to the Western Front. 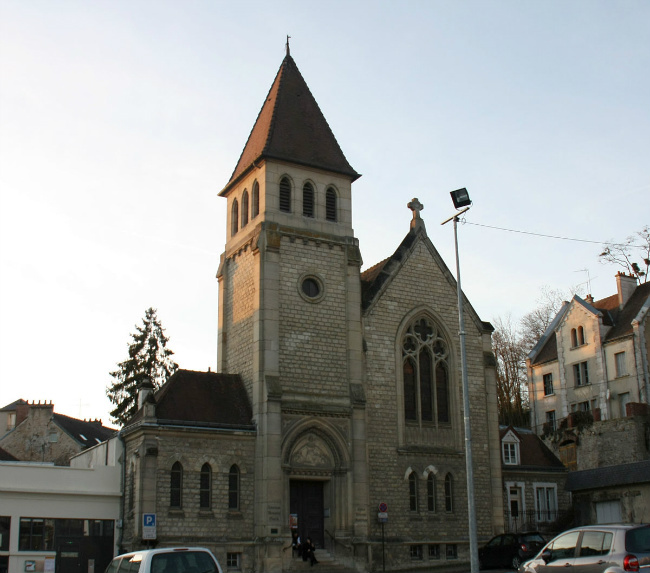 Particularly of interest to American visitors are the sites in the Aisne department, including Château-Thierry, which was the location of a pivotal battle that helped bring an end to the Great War. Don’t miss the Château-Thierry American Monument, situated high on Côte 204, which also offers a visitor’s center and museum. We also recommend spending time nearby in the Bois de Belleau, where the U.S. 2nd Division, especially American marines, fought bravely to halt the German advance. 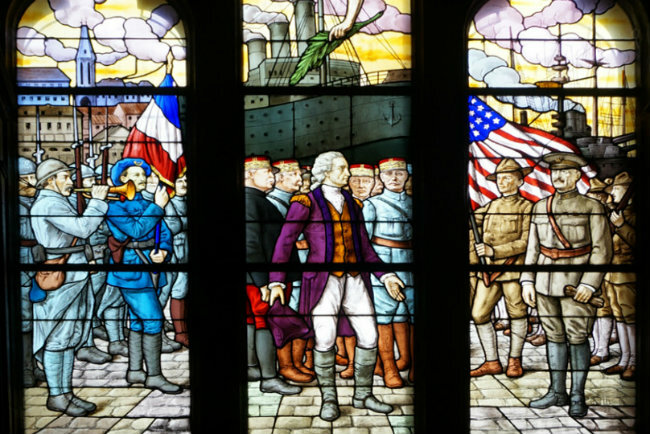 Also stop by the American Memorial Church in Château-Thierry, which was constructed as a “living memorial built in memory of the US soldiers and marines who were killed in the area in World War I.” The stained glass window is remarkable in its celebration of Franco-American friendship: depicting the moment when General Pershing arrived in France with American soldiers in 1917, saluting Lafayette, as he famously paid his respects at Lafayette’s tomb in Picpus Cemetery in Paris. To commemorate this important year, a team of passionate locals has come together to produce a special champagne gift box showcasing images from the stained glass window. 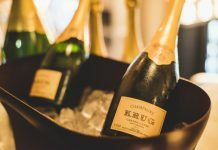 (After all, the Aisne is champagne country, and these cuvées have been specially crafted for the occasion.) 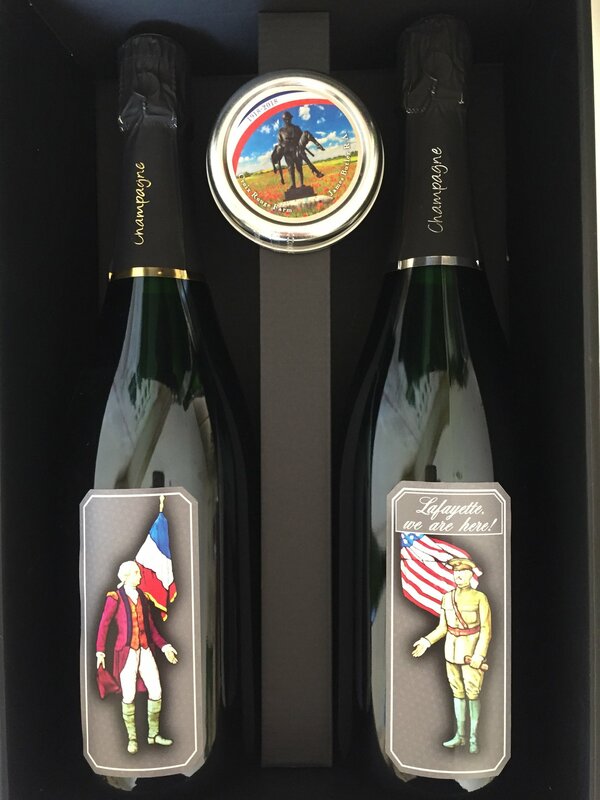 Guide/historian JB Capar has collaborated with pâtissier Jerome Dubief and two local champagne producers (Champagne Philippe Defollet and Champagne Lévêque- Dehan) to launch this coffret commémoratif— which also includes a box of bonbons made from cornflowers and poppies— the symbolic flowers of Remembrance. 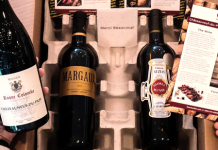 Purchase directly from the website (https://champagnephilippedefollet.com) or at the following local establishments: Hotel des Templiers and Hotel Mercure in Reims; Hotel Campanile, Hotel Ibis, Best Western and Hotel Hexagone in Chateau-Thierry; Château de Fère and Chateau de la Marjolaine. Please read ‘PATRIOT PRIEST’ the story of my great uncle who served the troops in WWI. Fluent in French and raised in Europe, my great uncle who became Msgr, William A. Hemmick, felt he had to help defend the people with whom he grew up. Coming back to Washington, DC after the war, he was proclaimed the “Patriot Priest of Picardy”. His letters to his sister, my grandmother, written while serving on the front of the battle of Picardy, are in the archives of Georgetown University and rendered in my book. I’ve order this champagne for a gift and the outcome was great! Fine bubbles and lovely taste…Thank you France today!! !